two-in-one design, the reversible Grill / Griddle is the perfect solution for rainy days when outdoor grilling is impossible. 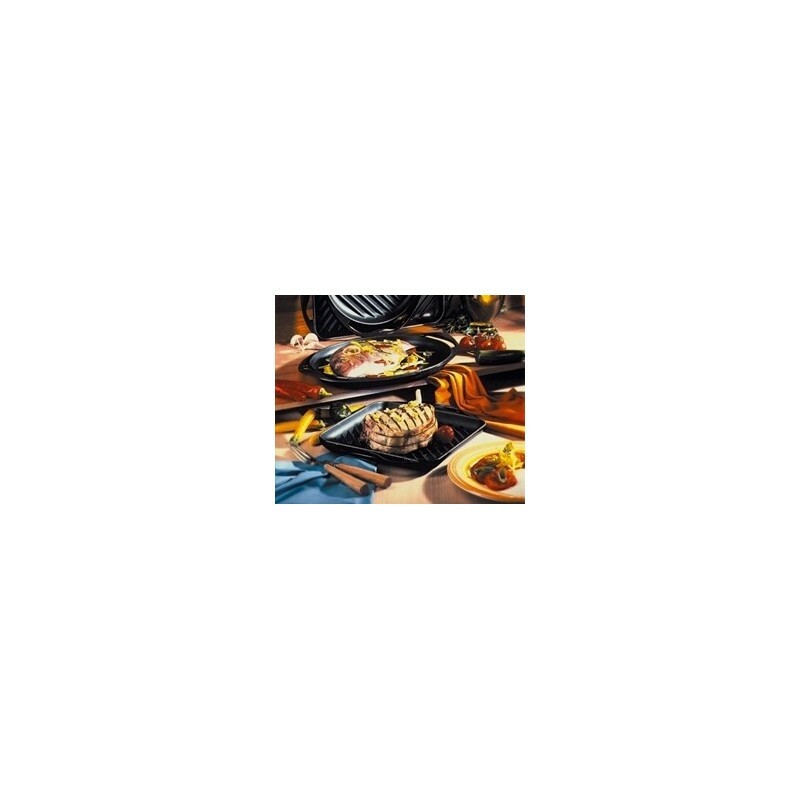 Its elongated grilling surface can accommodate skewers of shrimp, chicken, steak and vegetables, or several cuts of fish. 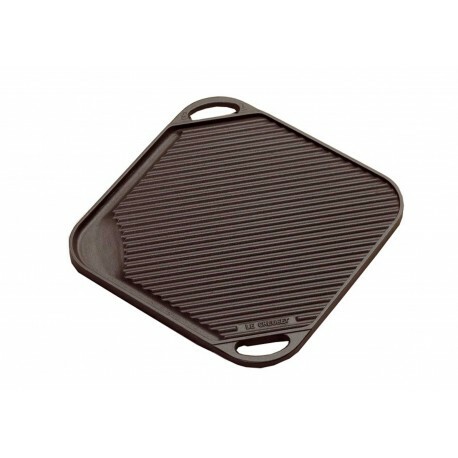 On its reverse side, the smooth griddle surface leaves plenty of room for quick searing and browning, or making pancakes. While the Grill / Griddle is compatible with most heating elements, it is not recommended for use on ceramic stovetops.